Brighton Grammar’s new B2M program spans Years 9 and 10 – a vital time in the education of every boy. The academic and co-curricular programs continue and are amplified – with increased options and opportunities. The senior years are looming and academic study becomes increasingly important. Within the co-curricula sphere, boys may be progressing into senior teams and bands and representing the School at the highest levels. Running parallel to the academic and co-curricula programs is a new initiative, B2M. BGS boys understand there are many component parts of every boy and successful man. These component parts are represented within our student community as the ‘archetypes’ – the magician, sage, warrior and caregiver. More broadly, the terms ‘Creating, Learning, Playing, Being’ are recognised as strategic pillars that guide much of what we do at BGS. These pillars and archetypes can help explain 9/10 B2M – they can be found behind and within each of the components of the 9/10 B2M program. In Year 10 2019, boys will have access to the following programs. Details and the opportunity to submit preferences (for optional programs) will be distributed closer to the relevant program. Across the latter part of Year 9 and early Year 10 the boys will experience the Tomorrow Man program. Tomorrow Man is a series of presentations and workshops that focus on social and emotional growth. Positive masculinity and the importance of choices and actively supporting one another through these years are just some of the powerful themes explored and developed during these sessions. Tom Harkin, an expert facilitator and workshop leader, is the author of the program. Tom has spent 20 years facilitating workshops and has recently developed the Tomorrow Man program, specifically for boys aged 15 to16. 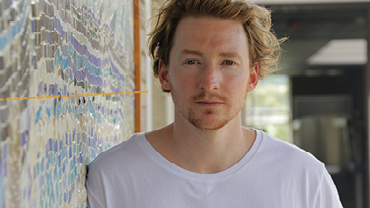 Some of Tom’s brilliant work was captured on the ABC series Man Up in late 2016. Further information about Tom can be found here. Note – core program: no additional cost. The cliffs rise out of the Wimmera plains in western Victoria and a tower above the surrounding farmland. The 3.5km-long, 200m-high cliff contains more than 3000 climbs and has a huge amount of variety and diversity. The Year 10 program will include three distinct forms of climbing and focuses on the skill progression, with the aim being that each participant will have the opportunity to tackle one of the Arapiles great multi-pitch classics at the end of the trip. The boys will begin by exploring the different areas of the mount where they will be introduced to top rope climbing and bouldering. 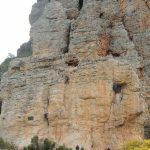 Once they have developed their climbing and rock safety skills, they will have an opportunity to venture higher up the cliff on their first multi-pitch adventure led by one of the Arapiles mountain guides. Note additional cost approx: $750. Our 2019 Australian backcountry ski journey escapes the resort boundaries and crosses the Bogong High Plains; introducing telemark skiing and back-country winter travel techniques, while traversing rocky peaks, snow-gum woodlands, rolling snowfields and historic cattleman huts. This journey showcases an Australian winter environment that very few get to witness. The program begins with two days of expert training on the Nordic trails of Falls Creek Resort, while staying in the warmth and comfort of Howmans Gap. From here, the boys prepare for a 5-day guided expedition into the Australian Winter Alpine backcountry. The outline is intentionally fluid to accommodate the boys’ mixed ability levels, the changing mountain conditions, and to empower the boys to explore the various peaks, valleys and rolling plains that dominate the 900 square kilometres of the Bogong Alpine region. The Australian winter alpine experience is a dramatic interaction with ancient landscapes and significant weather, and is unlike anything else in the world. Goolarabooloo’s Lurujarri Heritage Trail is a nine-day cultural walking journey along the song cycle. The Goolarabooloo people lead us throughout this 80km stretch of saltwater coastal terrain, sharing their heritage as we go. The Goolarabooloo people are still actively engaged in looking after Country, despite living within a western world. They believe that connection with Country and culture is the base of one’s true sense of identity, spiritual and physical health, and self-esteem. In 1987, Paddy Roe initiated the Lurujarri Heritage Trail as a trigger to encourage the members of the Goolarabooloo community to be walking the Country again, as had always been done; to conserve, renew and stay connected with their heritage and traditional skills; and to keep the same alive for generations to come. He also sought to wake up non-Aboriginal people to a relationship with the land; and to foster trust, friendship and empathy between the Indigenous community and the wider Australian and international communities. Note additional cost approx: $3250. The Jatbula trail follows an ancient Jawoyn song line through the Nitmiluk National Park. The trail takes hikers up onto the Arnhem Land Escarpment through shady monsoon forests, past spectacular waterfalls and crystal clear swimming pools, and introduces stunning Jawoyn Aboriginal rock art sites. The campsites are in some of the most spectacular wilderness country in Australia. The Jatbula Trail is a five-day bushwalking adventure that immerses the boys into this ancient wonderland. The Jatbula is an exclusive destination opening only during the dry season from June to September, with a limit of 15 people per day permitted on the trail. July is the perfect time to enjoy perfect blue sky days, cool nights and plenty of water for our frequent swims. Note – program cost approx. $2,750. King Island is a situated in Bass Strait, just off the north-west Tasmanian coast. The area has long been known for its cheese factory, high-quality beef products and its seafood. In more recent times, King Island has become a surf destination for more adventurous surfers seeking less crowded waves. The magazine Surfing Life once named King Island’s most famous beach, Martha Lavinia, amongst the top 10 beaches in the world. The sand bottom A-frame has drawn former world champs Kelly Slater and Tom Carroll, as well as a host of other pros and free surfers. Even with the acclaim and notoriety King Island surf break remain uncrowded and pristine. The trip will be a seven-day coastal and surfing adventure. The boys will camp along the remote northern coastline of King Island and explore the various beaches and surf spots. This unique surfing experience will include surfing at Martha Lavinia beach (amongst others), coastal camping and hiking, fishing, and exploring the local areas. We will cook our fresh-caught fish on fires on the beach overlooking the perfect A-frames we’ve had to ourselves all day and we will hike along the remote coastline to find the perfect spot for the night. This program is for boys who are intermediate surfers and have their own surfing equipment: 3-4m wetsuits, gloves, booties and hood are recommended. Please note, boys must have successfully completed the BGS swim test, and be competent and capable swimmers if they intend to select this program. All boys will be required to attend a pre trip surfing competency test. Note – program cost approx. $2,700. The Kokoda Trail is one of the most famous wilderness tracks in Australian history. The Kokoda story is one of grit, determination and comradeship and holds a special place in our national history. The challenging 96km jungle trek runs from near Port Moresby to Kokoda, crossing the deep ravines and precipices of the Owen Stanley Ranges, through the dense rainforests and into the traditional villages of the Oro province. Along the way, the boys will hear the stories of Kokoda as they walk in the footsteps of the Aussie diggers and their Papuan comrades. The trip is run by the Australian company Kokoda Spirit and will be led by local PNG and Australian guides. Throughout the eight-day trek the group will camp in local villages and near the Kokoda’s battlefields, finishing at the Kokoda war memorial where the final battle of Kokoda took place. This experience of a lifetime is a challenging and beautiful hike that is steeped in history and culture. Due to the remote location of the camp and inaccessibility of medical facilities, it is strongly recommended that students with serious medical conditions such as anaphylaxis, epilepsy, diabetes or other do not attend this journey. All immunisations must be up to date for boys to travel to PNG. Note – program cost approx. $4,950. 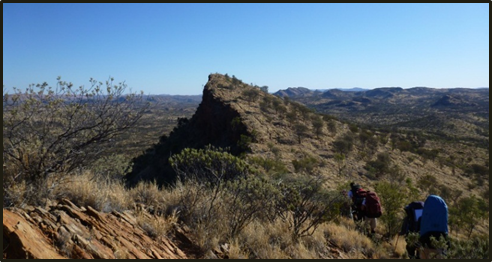 The Larapinta Trail is one of Australia’s premier walking tracks. Beginning in Alice Springs at the old telegraph station, it winds its way through 223km of the West MacDonnell ranges, crossing stunning red gorges, ancient rocky mountain tops and sandy river beds, and eventually finishes at Mt Sonder. Our 2018 Larapinta journey tackles the first four sections of the trail taking us through some of the tracks most famous highlights. From the old telegraph station, the track heads west past Simpsons Gap, through Standley Chasm and up over Brinkleys Bluff to Birthday Creek waterhole. The group will fly to Alice Springs and spend their first day shopping and preparing for their expedition, staying at the Winter Sun Caravan Park in Alice Springs on the first night. Starting early on day two, the hikers will set off from the historical telegraph station that marks the trail head and journey West up into the MacDonnell Ranges. Over the next five days, the boys are immersed in the awe-inspiring, ancient landscape of the central desserts, the red cliffs, sandy river beds, white ghost gums and hidden, shaded gullies. The boys will have the chance to enjoy some of the iconic sites along the trail, stopping at Simpsons Gap, Standley Chasm and cooling off in the residual waters deep in the gorges of the West MacDonnell Rages. Due to the remote location of the camp and inaccessibility of medical facilities, it is strongly recommended that students with serious medical conditions such as anaphylaxis, epilepsy, diabetes or other do not attend this journey. Note – program cost approx. $2,950. Desert rains means desert wild flowers! Whether it’s about finding perspective, overcoming obstacles or gaining confidence, travelling through South East Asia on a trek builds the life skills young people need to live a life of courage, kindness and adventure. We know that your child heading overseas is no small thing. 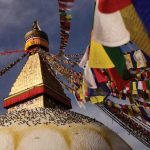 The Nepal World Class Journey involves rigorous planning and preparation in the build up to departure, as well the most comprehensive level of safety overseas, so you can be assured of your son’s wellbeing. This is a unique opportunity that has a lifelong impact on young people. By stepping out of their comfort zone they come back forever changed. Due to the remote location of the camp and inaccessibility of medical facilities, it is strongly recommended that students with serious medical conditions such as anaphylaxis, epilepsy, diabetes or other do not attend this journey. All immunisations must be up to date for boys to travel to Nepal. Note – program cost approx $5,250. Coast and heathland walk. Spectacular views. Takes you to the end of the walk within sight of the Twelve Apostles. Fiji is an island archipelago comprised of 330 islands and a coastline of over 1129 kilometres. The Yasawa group is a chain of 16 islands located north-west of Fiji’s main island, Viti Levu. We will spend our time in the Yasawas, kayaking between islands, camping on isolated beaches, snorkelling the coral reefs and staying in small native villages getting to know the friendly locals. This 10-day sea kayaking expedition will be operated by South Sea Ventures. The boys will fly into Nadi and then travel by boat to the remote island chain. Arriving at their starting point by lunchtime on day two, the boys will have the rest of the afternoon to check and pack gear, meet their local Fijian guides and familiarise themselves with the kayaks before they head off. Day three to day eight will see the boys explore the tropical island chain, staying on remote, deserted beaches and in traditional island communities. Due to the remote location of the camp and inaccessibility of medical facilities, it is strongly recommended that students with serious medical conditions such as anaphylaxis, epilepsy, diabetes or other do not attend this journey. All immunisations must be up to date for boys to travel to Fiji. Note – program cost approx. $4,650. During the winter, New Zealand’s South Island transforms into a white wonderland of snow, ice, blue sky days and mountain views that will take your breath away. This South Island winter adventure has been designed to showcase the best of NZ’s winter landscapes, from coastal sounds and green valley forests to snow-covered mountains. We will have plenty of options to customise this NZ adventure and make this a memorable outdoor education experience. Cycling ability a must have as days can be as long as 20km or more. 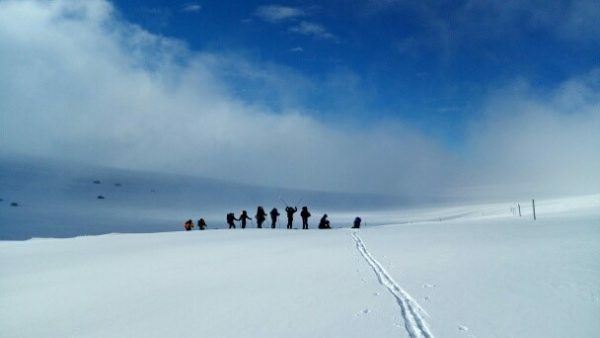 Snowshoeing the NZ Alps is comparable to the Kokoda track. 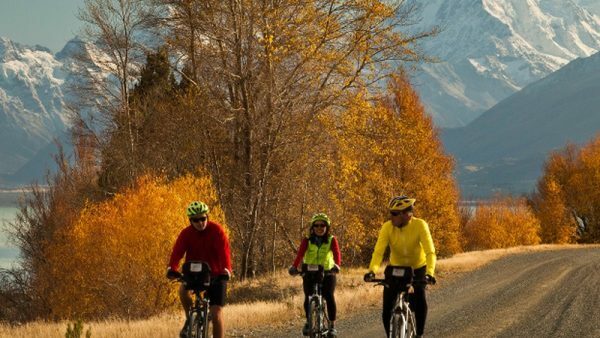 Whether we choose to go to the Queen Charlotte Track and Marlborough Sound area (rated as the best single track cycle location in NZ) or we cycle the lakeside trails of the Alps 2 Ocean, recently listed in the Lonely Planet’s ‘Epic Bike Rides of World’, we will see and experience NZ at its epic best. Note – program cost approx. $3,700. Connor’s Run is a charity fun run for the RCD Foundation. Connor was Robert Connor Dawes (RCD), a BGS student who died of a brain tumour aged 18 in 2014. Robert Connor Dawes attended Brighton Grammar from 2000 to 2012. 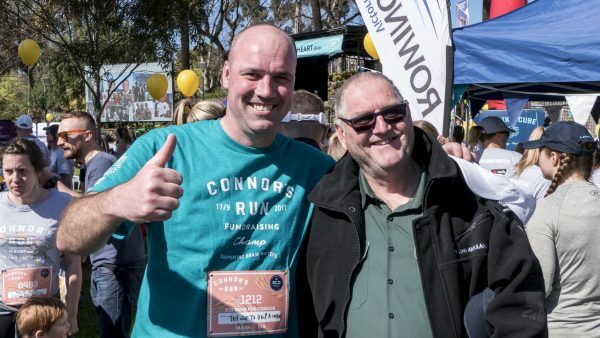 Connor’s Run was first completed in 2013 and is now an established and vital part of the Brighton community. In 2018, all Year 9 boys either completed 9.6 or 18.8 kilometre runs or worked in a support capacity, either in fundraising or event support. 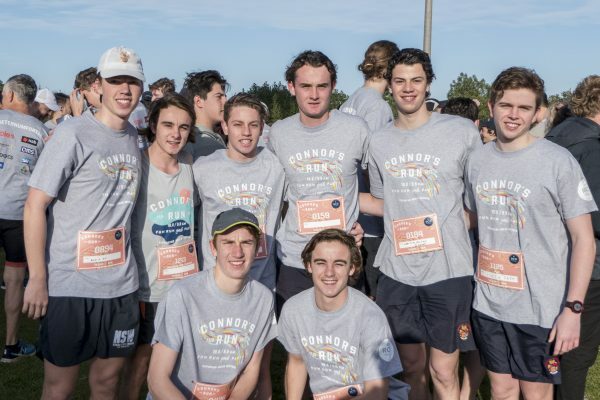 In Year 10, boys may again choose to donate their time and energy to Connor’s Run or they may choose another charity. Choices are endless and all will find a way to make a contribution. A unique opportunity awaits our Year 10 boys and their fathers/male mentors. 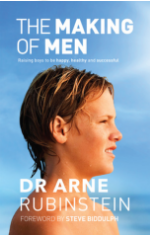 Later this year, under the guidance of Dr Arne Rubinstein, author of The Making of Men, BGS will hold its first ever whole Year 10 Making of Men program. The program is a contemporary ‘Rite of Passage’, based on years of research and the experiences of Dr Rubinstein and his team, as well as on what we know of our BGS boys and our local context. The program is focused on bringing out the best in the boys and addresses the physical, emotional and psychological changes happening in boys’ lives, as they transition to becoming young men, in a safe and structured way. This is one of the most important activities in which a boy and his father/male mentor can participate at this critical time in the boys’ development. gain skills, tools and experience to become a motivated, responsible and resilient young man. A significant beneficial aspect of the program is allowing the boys to think about their futures and what they want to do with their lives. It gives them an opportunity to think about what childhood behaviours they are ready to let go of as they move into manhood. Note: Fathers/male mentors will be required for all four days (three nights) of the program. Families will be sent more details about how to select preferences for the B2M optional trips. This is for Year 10 boys in relation to World Class Journeys and for Year 9 in relation to Service Journeys. Please note, for a number of these Journeys, special conditions and additional charges apply. If you have any questions about the B2M program, please contact Programs and Activities at the link below.